This picture is fragment of original baby bib made by Noah. 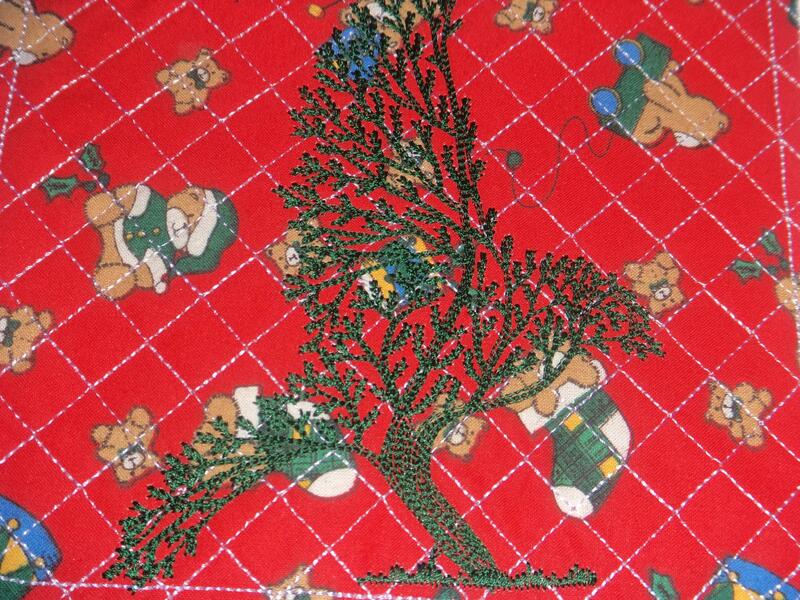 That’s why it has so cute background fabric decorated by little bears in Christmas costumes. But main sample chosen for its decoration is not baby picture. It is Tree bird embroidery design. This original image combines two senses: there are silhouette of big bird such as eagle and old curvy tree with many branches.